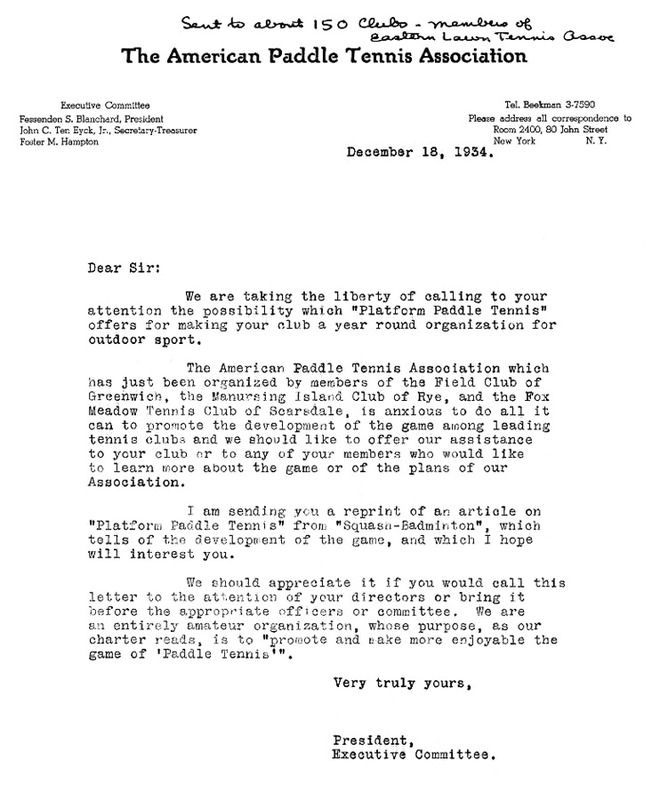 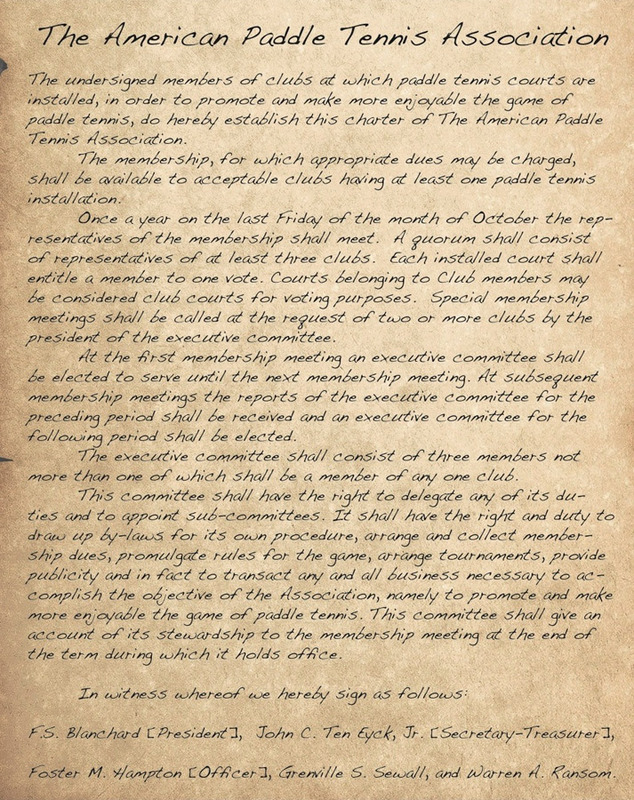 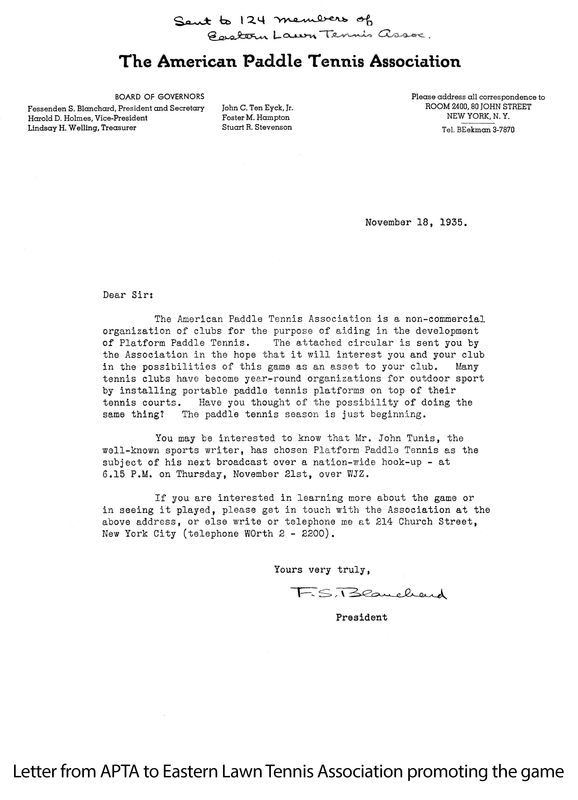 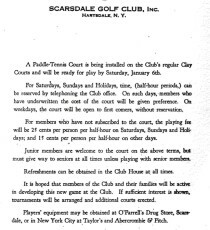 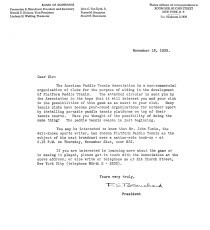 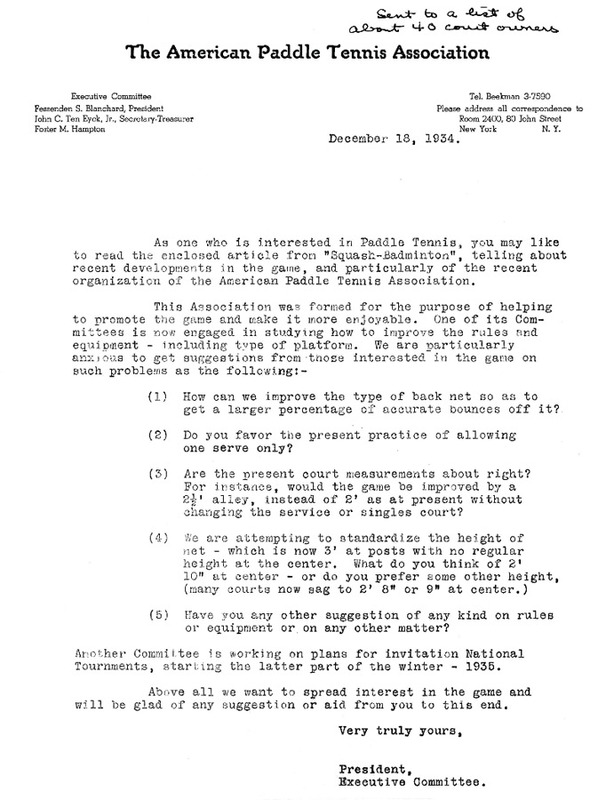 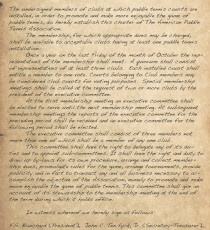 Text from the original charter of the American Paddle Tennis Association. 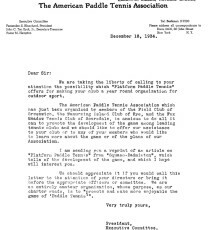 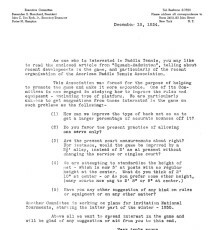 The charter was signed in November 1934. 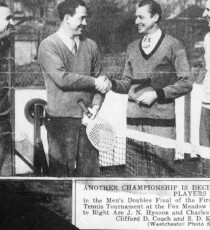 The 1935 Men’s Champions Clifford D. Couch and S. D. Kilmarx on the right and finalists J. N. Hynson and Charles O’Hearn. 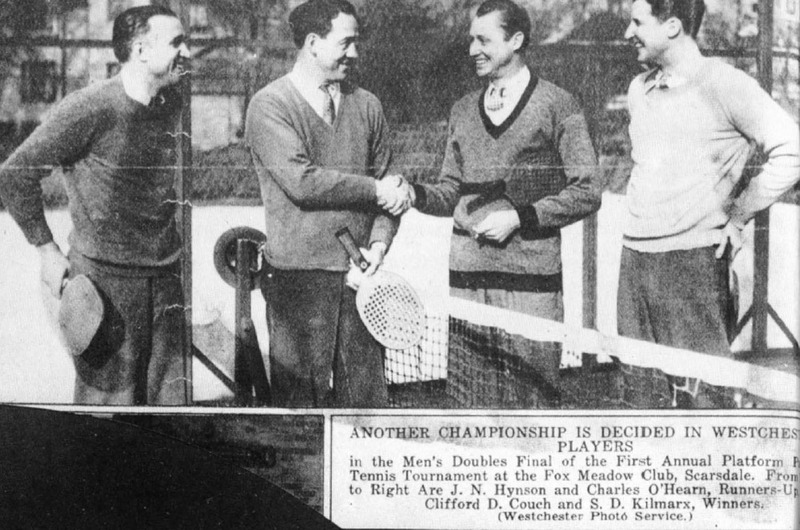 Fox Meadow Tennis Club member and former FMTC President (1936) Henry B Eaton, designed a collapsible platform that could be laid on an existing tennis court during the off-tennis season without damaging it. 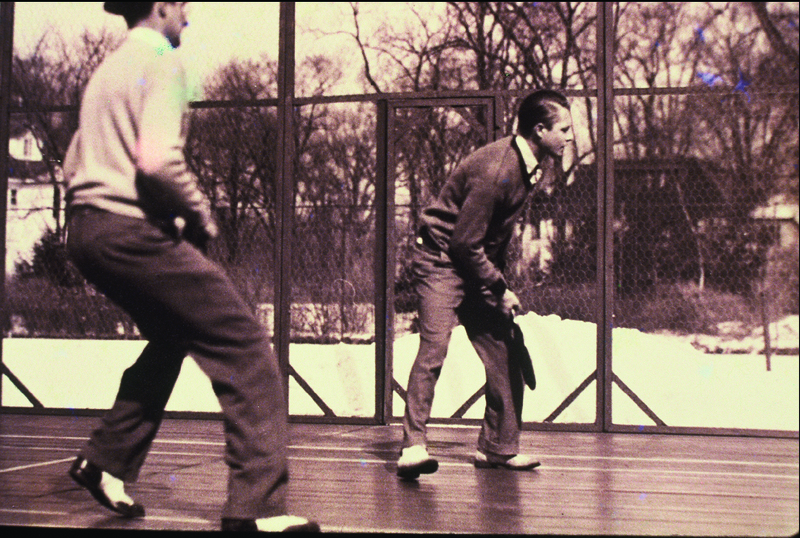 Eaton talked the New York lumber company company he worked for and the the forerunner of the Gates Sports Platform Company, to make the Eaton portable platform. 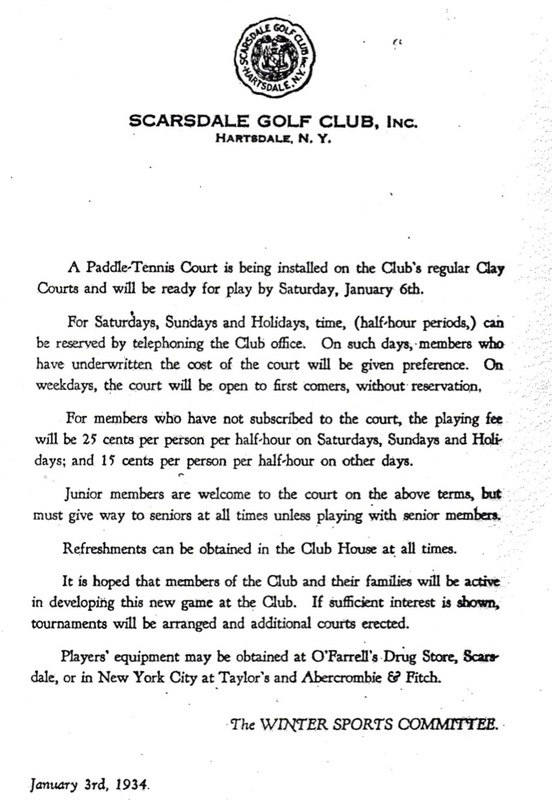 The court was easy to transport and set up and only cost about $500, which made it affordable even during the Depression. 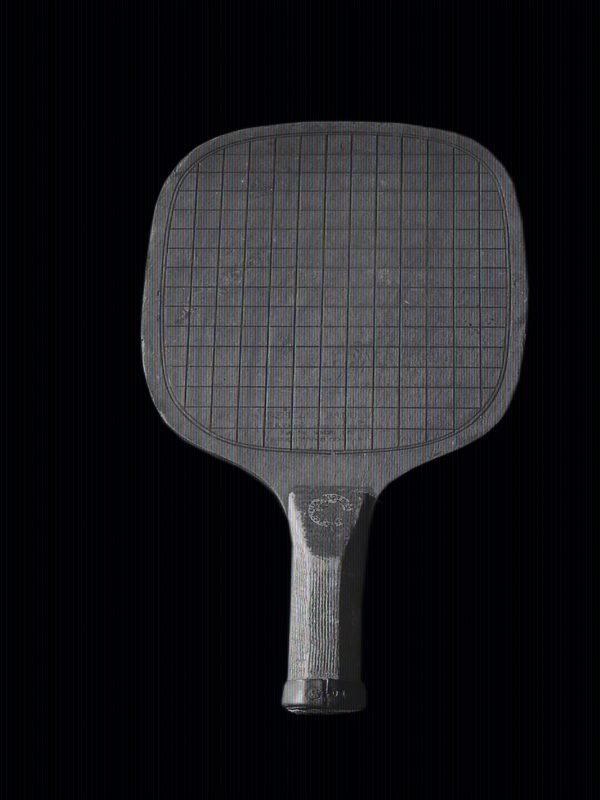 These easy to install and cheap platforms were invaluable in growing the game. 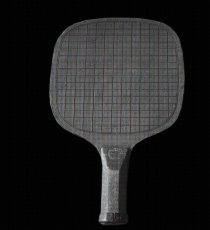 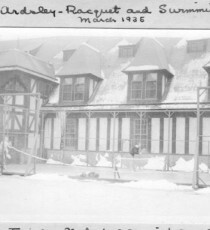 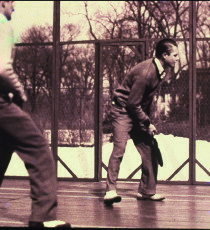 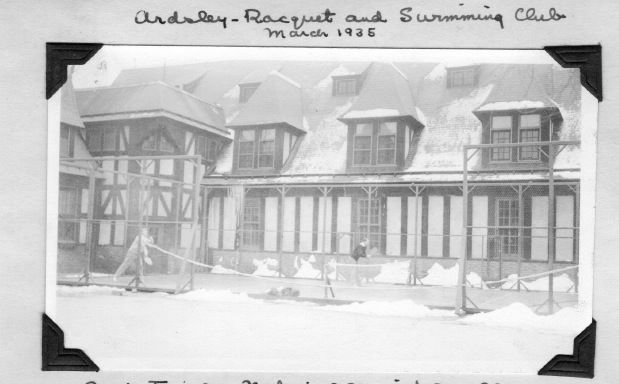 Source: Adapted from Fessenden S. Blanchard, Platform Paddle Tennis, 1959 Historical Factoid: Eaton's wife, Jean Eaton, was the winner of the Women's Doubles and Singles Nationals in 1935 (the inaugural tournaments) and the Women's Doubles in 1936.